OLI AT MINING WORLD 2019 – Find us at Hall: 1, Stand: A434. 23-rd International exhibition of machines and equipment for mining, processing and transportation of minerals on April, 23-25. 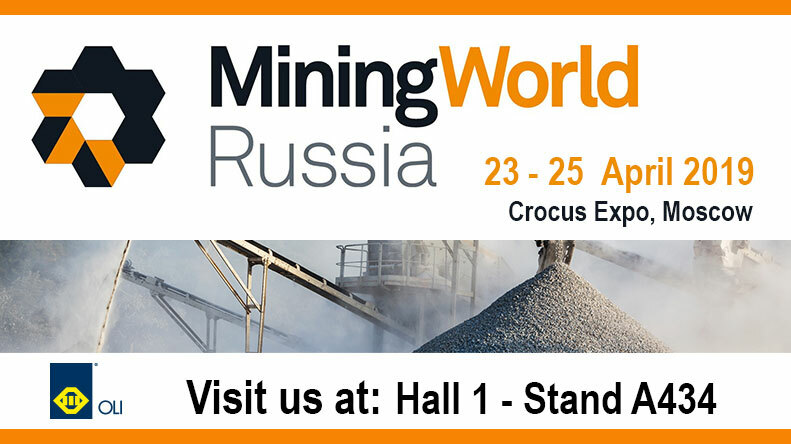 MiningWorld Russia is the largest international exhibition in Russia and the CIS demonstrating state-of-the-art equipment for mining facilities, mining and processing complexes and mining safety every year. The Exhibition holds the title of the ‘Largest exhibition in Russia’ on the subject ‘Natural Resources Mining and Quarrying’ in the category ‘International Recognition’ according to the all-Russian ranking of exhibitions. Besides, the Exhibition serves as an effective business networking forum for manufacturers, vendors and professionals representing mining facilities, mining and processing complexes and wholesale companies from various regions of Russia interested in purchasing mining, processing and transportation machinery and equipment.